WHY USE FLIGHT SOUND X? 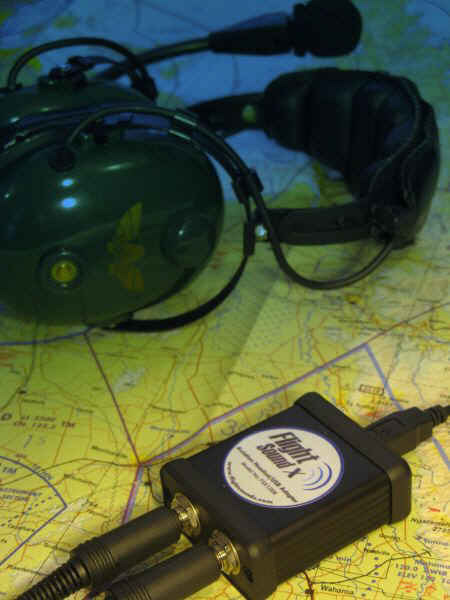 FUNCTIONAL - Use your own aviation headset for flight simulation training scenarios... Fact 1: Real-world flying is expensive! It is well known that Flight Simulation software enables pilots to maximise their proficiency thereby reducing flying training hours. Fact 2: A headset is often the biggest part of an aeroplane that an individual actually owns and is an important, psychologically reassuring and comforting instrument. The Flight Sound X connects these two realities. The device enables students to learn with tools that they are familiar with, thereby ultimately having a positive impact upon flight safety. VERSATILE - Get added duty from your headset by using it with programmes like Skype! 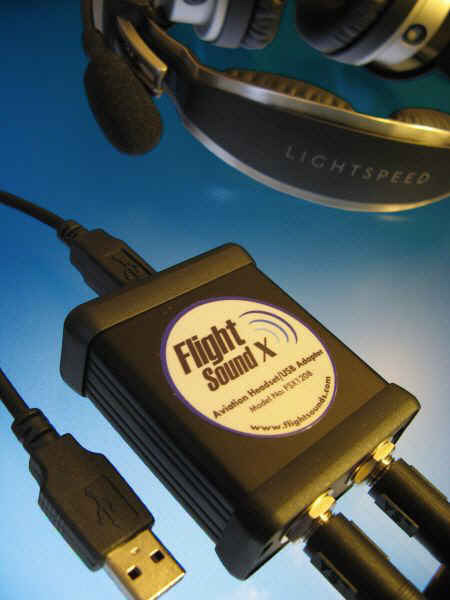 While PC-headsets are often built to low standards, aviation headsets are high quality, robust devices. Why not increase their ‘up-time’ by utilising them with computer audio applications such as Skype etc? Internal amplifiers boost the microphone and headphone levels necessary for driving these high-impedance Aviation Headsets. Don’t be fooled by cheaper adapters, which omit this feature! 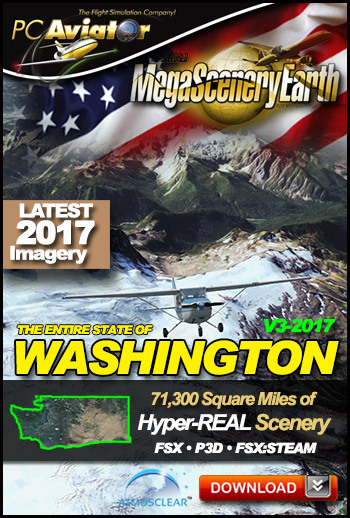 REALISTIC - Bring the realism of your virtual flight environment to unprecedented levels... Users are increasingly exposing themselves to unprecedented levels of flight simulation realism with internet based/online environments. 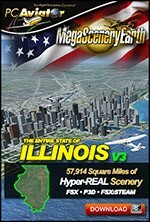 Real people are flying virtual VFR/IFR routes controlled by real-life virtual ATC operators. In addition to being functional, Aviation headsets greatly enhance the sound and feel of the simulation environment in a way that no ordinary PC-based headset could ever achieve. 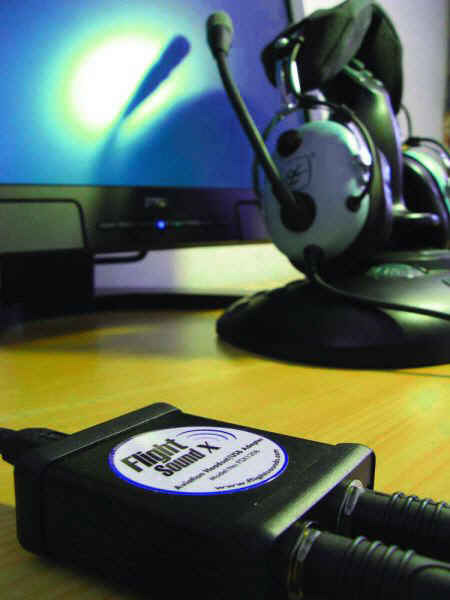 PC headsets often have no microphone feedback and may feel cold, remote and uninvolving. SO EASY - Just plug and play ... and you’re ready to go! 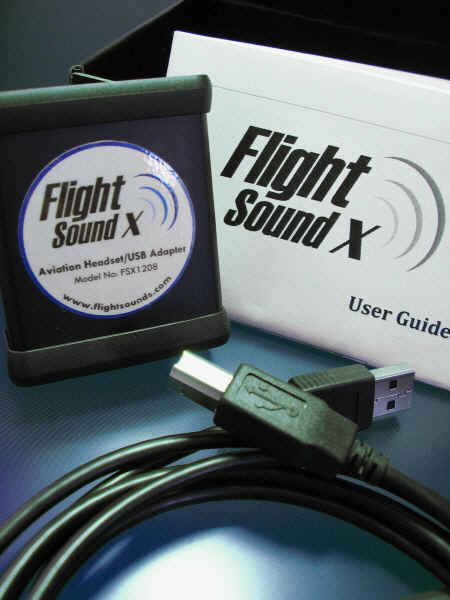 Flight Sound X is designed to be as easy to use as possible - no additional software, no batteries, no external power sources - just one standard USB cable. Just ‘plug and play’! When users have finished with the device, simply unplug it, and the computer will revert to its original audio settings. 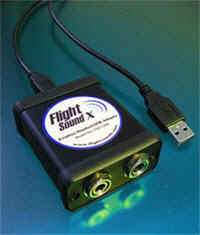 The Flight Sound X adapter is a great accessory for any pilot! At this time, helicopter and military aviation headsets are not supported. Such headsets use different plug sizes/configurations as opposed to G\A headsets. Please check back for future releases. Q) Will Flight Sound X allow me to use my aviation headset for voice communications on my computer with applications like Skype? Yes, absolutely! Many of our customers purchase our adapter for precisely this purpose. Please note: Windows XP appears to disable your microphone feedback when using VOIP. This (small) problem does not occur when using Win Vista. Unfortunately, this matter is beyond the scope of our product and support. Hopefully, either Skype or Microsoft will release updates in the future. Occasionally you come across a device which really makes your simulation life simpler. I wanted to use the David Clark headset (model H10-13-S) I have owned for sometime in the simulator; however, the two plugs on the headset are the large style plugs suitable for insertion into an appropriate audio module in the real aircraft – not a computer sound card. 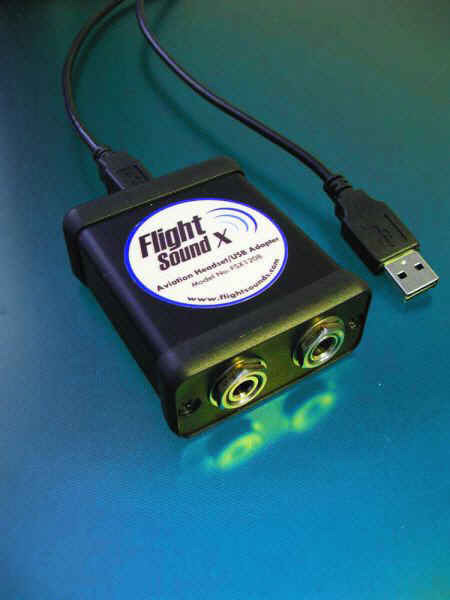 The Flight Sound X adapter allows you to use a variety of real aviation headsets with your simulator, to filter out engine and ambient noise and hear and communicate with air traffic control (VATSIM, etc). It’s as easy as plugging in the two plugs from your headset into the device and flying – it is that easy! The device does not require a separate power source, is small, and connects directly to the USB of your computer via a USB cable. WIN7 64 bit recognises the device on start-up and additional software and drivers are not required. A small LED light on the device indicates the unit is operational (red light). Initial device set-up requires you open the sound module in Windows, navigate to the appropriate menu and change a few settings within your sound card to allow sound and microphone ability to be transferred to your headset. Instructions (with pictures) are supplied with the device, so you cannot make a mistake – even if you do not read English. A benefit to using this device is that it’s small and can fit more or less anywhere within your flight deck. Another pleasant surprise is the device’s construction; it is made from aluminium (painted black) rather than plastic. As such, it looks quite attractive and is far more robust than plastic counterparts. Another benefit is the actual placement of the plugs which is at the side of the device rather than at the top of the device. This ensures that your headset cable and plug are not in a position where you may accidentally stand on them! This device would have to be the simplest item I have purchased, set-up and used with flight simulator. And it WORKS too!